My dad's own recipe. 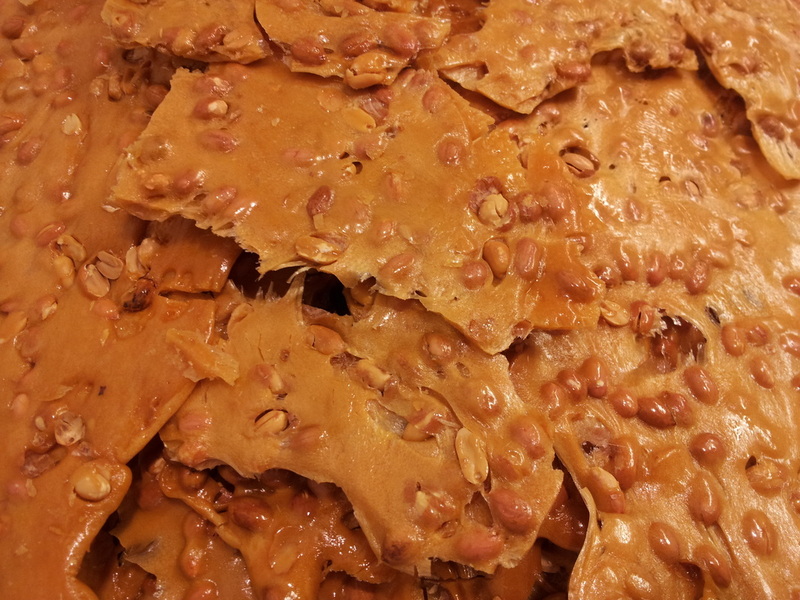 This peanut brittle is made fresh using raw spanish peanuts in our kettle. Then it's spread out as thin as we can get it and stretched out by hand to make it even thinner! What you get is a nice brittle that crunches and doesn't stick to your teeth as much. Crush it up and it makes a fantastic ice cream topping! Available in 1 or 2 lbs. bags. Sizes of individual pieces will vary. 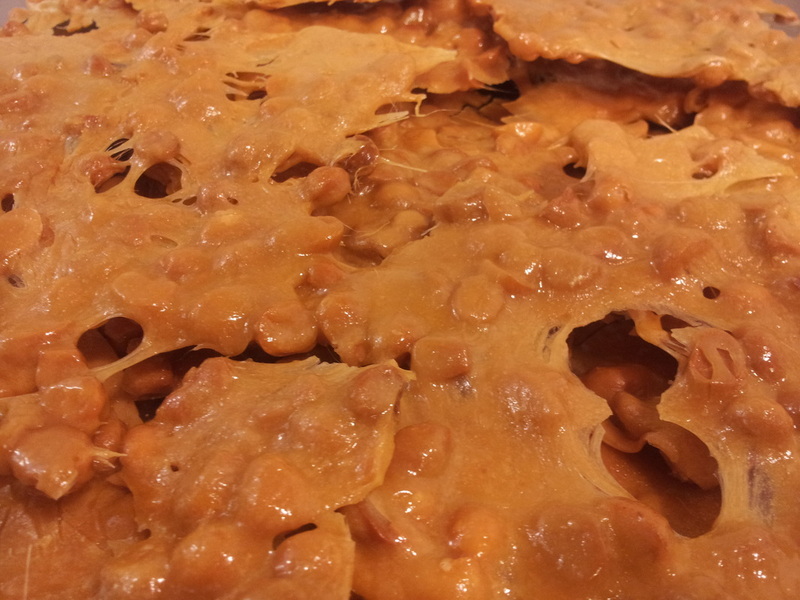 This is the same great brittle recipe packed with fresh macadamia nuts! 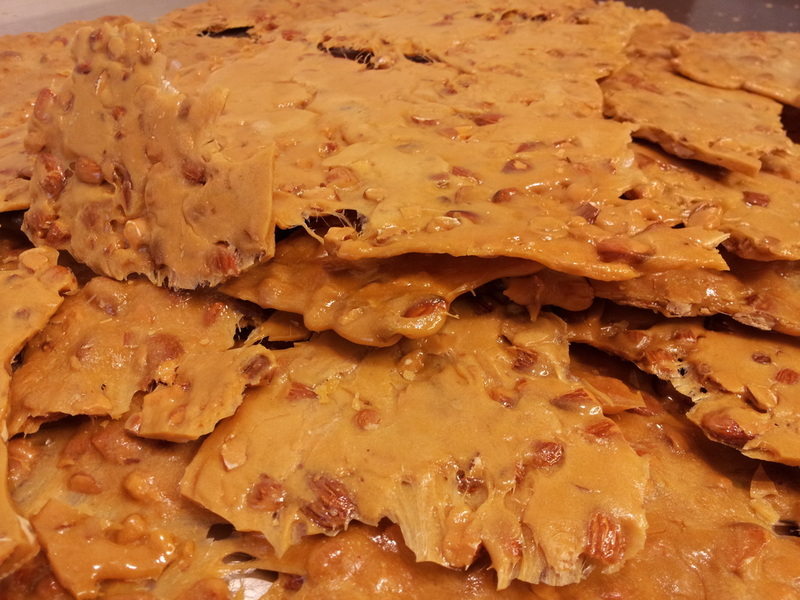 This is the same great brittle recipe packed with fresh almonds! 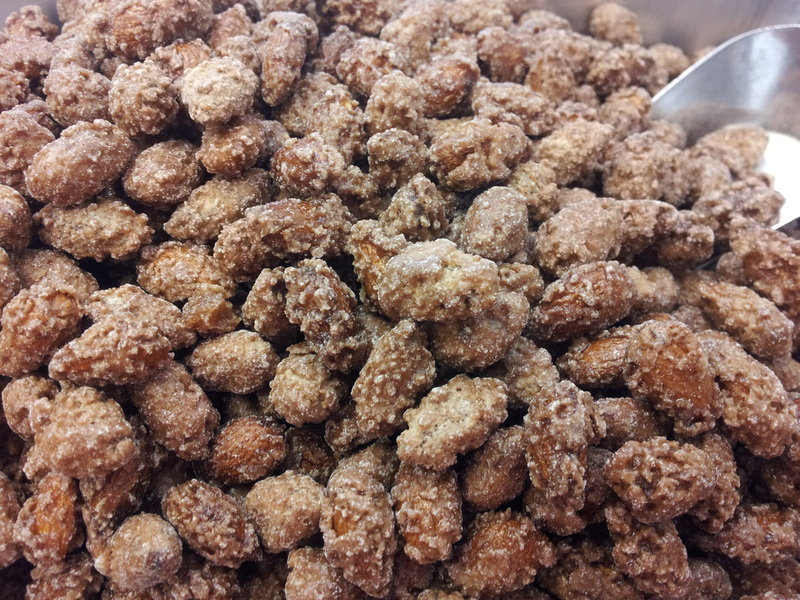 Our glazed almonds have the perfect blend of cinnamon, sugar and vanilla pralinated to give each nut a crispy sweet coating. WARNING: Contents are very yummy and habit forming! Available in quarter, half and full pound bags.